Time series forecasting is a difficult problem. Unlike classification and regression, time series data also adds a time dimension which imposes an ordering of observations. This turns rows into a sequence which requires careful and specific handling. In this post, you will discover the top books for time series analysis and forecasting in R. These books will provide the resources that you need to get started working through your own time series predictive modeling problems. Introductory Time Series with R.
Time Series Analysis and Its Applications: With R Examples. 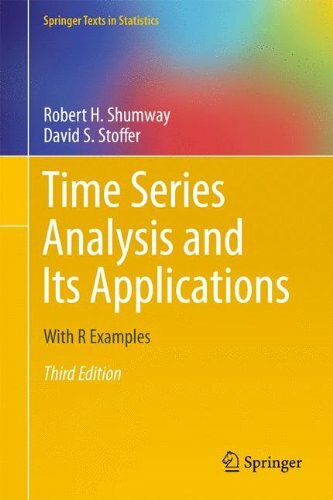 Time Series Analysis: With Applications in R.
Multivariate Time Series Analysis: With R and Financial Applications. 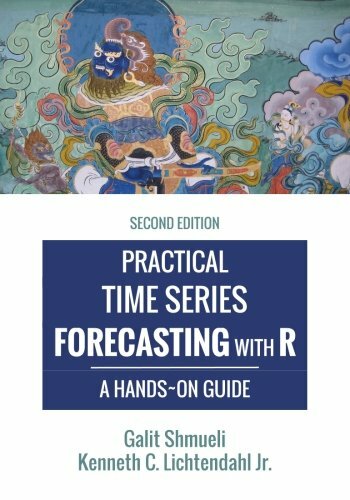 Practical Time Series Forecasting with R: A Hands-On Guide. Is your favorite time series in R book missing from this list? Before we begin, a good book on time series depends on what you are looking for. These are good topics to look out for when picking your ideal book on time series forecasting. Introductory Time Series with R assumes that you have completed a first-year statistics course. Model demonstration on synthetic data. Model is fitted to historical case study data. The mathematics of the models is covered but can be skipped in favor on focusing on how to apply the models. Below is the list of the table of contents. Datasets, errata and source code for the book can be downloaded from the book’s homepage. 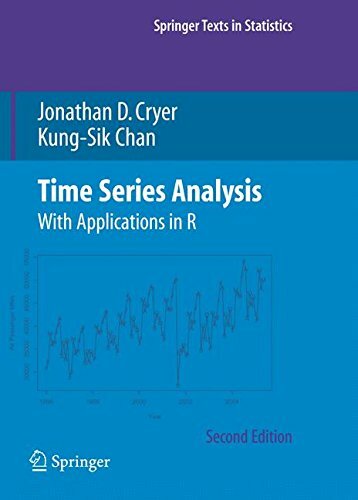 This is an excellent introduction to time series analysis in R, and is suitable for all readers who use R. In contrast to most statistics books, it does not presume an extensive mathematical background. Rather, it is a very much a progressive, didactic text, suitable for leisurely self-learning. The mathematics are presented briefly and appropriately for each topic, but progress and understanding do not depend on absorbing them in depth. It would be suitable, for instance, to social scientists, ecologists, public policy researchers, and so forth who use R.
Time Series Analysis and Its Applications: With R Examples is intended to be a textbook for undergraduate and graduate courses on time series.It assumes some background on regression analysis, and some mathematical statistics background. It assumes some background on regression analysis, and some experience with mathematical statistics. The book is structured so that theory and application are separated, allowing the book to be useful for different audiences, such as undergraduate and graduate students. It is a popular book and has been through 4 editions. The supplementary information for the book can be downloaded from the book’s webpage. Below is a snippet of a review of this book from Amazon. This book covers all of the main areas of time series analysis such as ARIMA, GARCH and ARMAX models and spectral analysis and it does a pretty good job of it. Most of the explanations are clear enough for a beginner (with some statistical background) and are accompanied by worked examples (something which seems to be omitted in a lot of time series texts). 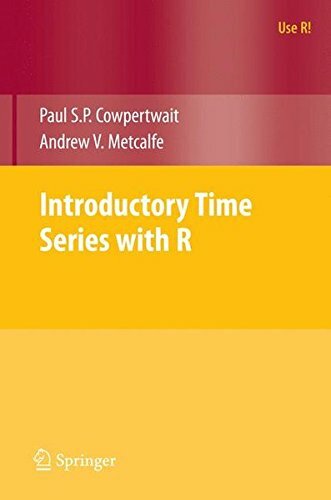 Time Series Analysis: With Applications in R aims to cover both the theory of time series models and their application in R.
The book is intended for use as a one-semester university course and assumes a background in applied statistics with a focus on multiple linear regression and some calculus. Although some statistical concepts are reviewed in the Appendix. The source code and datasets used in the book can be downloaded from the book’s website. Below is a snippet from a review from Amazon. 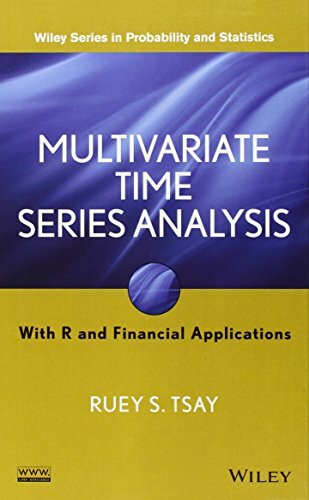 Multivariate Time Series Analysis: With R and Financial Applications is based on the author’s 30 years teaching and researching multivariate time series analysis. The book is intended to be used as a reference in graduate-level courses on time series and undergraduate statistics courses on time series. It does assume familiarity with univariate time series. The functions and data used in the book are available in the MST R package. Source code and data can be downloaded from the book’s home page. Below is a snippet from an Amazon review for the book. The order by which topics are presented is reasonable. I like that the author starts right off with the more general vector/matrix approach and does not waste time introducing the “special case” posed by univariate time series, since this book is going to be very difficult for a student who has not already been exposed to the univariate case. Indeed, a level of familiarity with advanced mathematical topics (such as infinite-order matrix polynomials) is presumed. I also liked that proofs occur mostly at the end of chapters, and that the author maintains a web page with a listing of errata. Practical Time Series Forecasting with R: A Hands-On Guide is focused on a hands-on approach to teaching quantitative forecasting of time series. The book was designed for use as a semester-long undergraduate or graduate course on time series forecasting. More information including datasets and source code can be found on the book’s homepage. Really hits the sweet spot for someone looking for a gentle introduction to time series modeling: it covers all the bases (smoothers, ARIMA etc. ), compares the pros and cons of different methods, discusses validation and testing, includes example code so you can get started right away and has just enough mathematical notation to simplify the descriptions of the methods. It’s succinct but not dumbed down. For how much it costs, you really can’t go wrong here. In this post, you discovered 5 top books on time series analysis and forecasting with R.
You now have the resources to bring the best predictive methods to your own time series predictive modeling problem. Which book should you buy? Review the table of contents and pick the book that you think is best suited for your background and needs. Which books did you pick? Have you read one of the books shared in this post? Leave a comment and share your opinion of it. Thank you for the nice post. The URL of the datasets for “Introductory Time Series with R” are all dead I’m afraid. I wonder why most time series books are in R! , do you have any suggestions regarding time series analysis with python (pandas specifically)? Thanks, I’ll fix them up. The time series support in R is fantastic. It’s not as good in Python – nevertheless, I’m working on a book on how to get started with time series forecasting in Python. Any recommendation for book on Time Series with MATLAB? Sorry Royo, I don’t. If you find any good books, please let me know. Yes, his book is fantastic. I found it after I made the list. Now I want to learn about LSTM RNN applied to time series. I already reviewed your tutorials on this topic. Any recommended book on recurrent neuronal networks for multivariate time series? Not at this stage. Generally, LSTMs do not appear effective at autoregrssion type time series prediction problems. I bought Introduction to Time series but the language is very difficult to follow. DO you have any other book which is easier to follw and also keeps the text engaging. I personally immensely enjoyed ISLR. Perhaps something on the similar line.